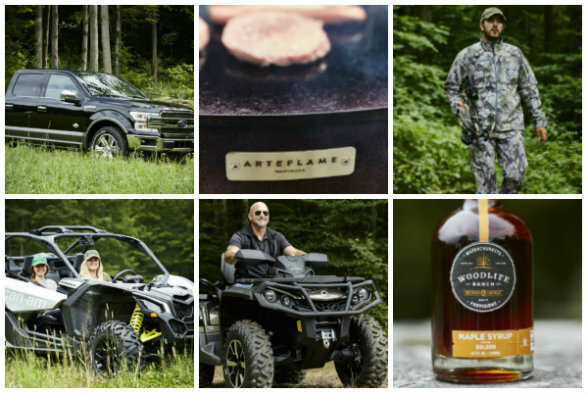 The Land Report R&D team hit the trail in the beautiful Berkshires at WOODLIFE RANCH. 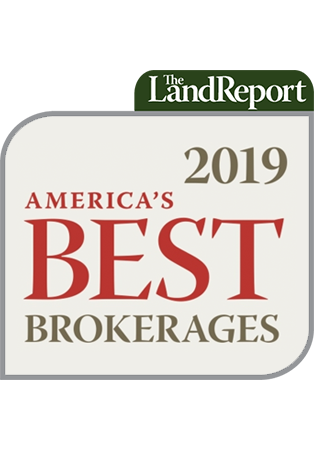 Here are our top selections. The all-new FORD F-150 KING RANCH DIESEL is a pair of kings. 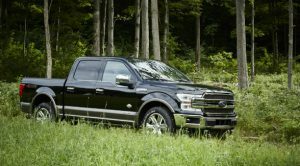 Ford’s top-selling King of the Road is matched with the epic tradition of King Ranch, the iconic home of American ranching whose brand graced the country’s first Quarter Horse, a Triple Crown winner, and myriad products at the King Ranch Saddle Shop. This half-ton showcases high-end stylized design with ranch-and-range themed exterior and interior trim elements. Think genuine wood and leather. The trump card is the new 3.0-liter V-6 diesel with 250 hp and 440 pound-feet of torque that delivers 11,400 pounds of towing and carries 2,020 pounds. The most fuel-efficient pickup in its class is paired with a 10-speed auto transmission with tow/haul, snow/wet, EcoSelect, and Sport modes. What to get the do-it-yourselfer who has all the toys? How about a hydraulic excavator of their very own? 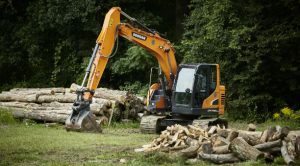 The DOOSAN DX140LC EXCAVATOR boasts improved ergonomics, increased comfort, and excellent visibility that enhance the efficiency and safety of the operator. A new user-friendly 7-inch LCD color monitor provides full access to machine settings and maintenance data. Plus, it displays the rearview camera. And the 95 hp Common Rail DOOSAN DL06 engine combines with the new Electronic Power Optimizing System for optimum power and fuel efficiency. Elevate your outdoor cooking with the sleek, contemporary look and outstanding functionality of the ARTEFLAME ONE SERIES GRILLE. 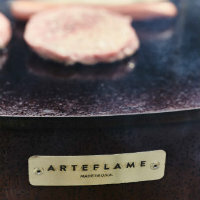 The removable cooktop is manufactured from half-inch-thick hot-rolled steel and can be used with wood and/or charcoal. It can also be enjoyed as a fire bowl with the cooktop on or off. The grille can be left outside all year long, and its CORTEN steel base will develop an appealing, maintenance-free patina over time. Want rugged 4WD performance with exceptional fuel economy? Need to transport up to seven? Tow 4,000 pounds? Stow 79 cubic feet of cargo? 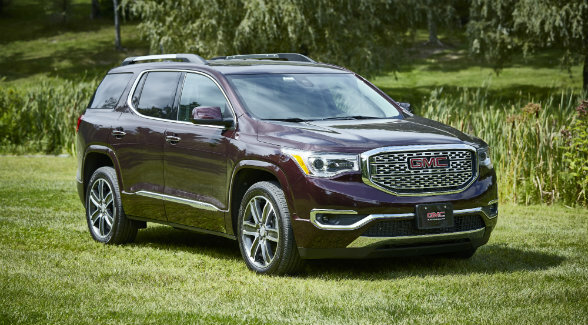 Then go for the 2019 GMC ACADIA DENALI AWD. Under the hood is a 3.6-liter direct-injected V-6 with 310 hp. Upscale Black Cherry Metallic exterior gets chrome details, wraparound HID headlamps, and standard LEDs. Take a seat and take in the cocoa and shale palette with standard leather-trimmed heated/ventilated first-row seats and heated second-row seats. For your viewing pleasure, the infotainment package has an 8-inch diagonal color touchscreen and navigation, plus five years of OnStar. Goodies include a trailering package with active tow, pedestrian detection with braking, and 20-inch aluminum wheels. 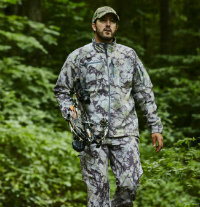 SIXSITE CAMO GEAR designs and develops extreme-use outdoor clothing. Manufactured in the US of A, SIXSITE’s proprietary RANA camo pattern blends organic textures and digital elements. It also incorporates tactically functional features like accessory anchors and pocket angles to minimize movement and improve success for hunting with a bow or firearm as well as performing tasks in inclement weather. The full SIXSITE camo line includes jackets, shorts, pants, shirts, undershirts, and hoodies. Do you hunt, fish, or maybe just walk your dog at dusk or dawn? Ever work in a poorly lit garage or barn? All-weather KC KEVLAR KNIT LED LIGHT GLOVES provide versatility to light up every job. 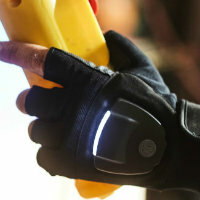 KC’s patented technology integrates a durable, water-resistant, breathable glove with a cutting-edge LED light strip featuring six LED lights with varied brightness and run times. (124 lumens on the low setting or 240 lumens on high to provide up to 20 hours of use). Available in full-finger or fingerless styles, large and XL sizes, the gloves are powered by two lithium metal coin cell #CR2032 batteries that are included. 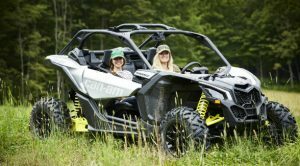 Head off-road for work or play with the new one- or two-passenger 2018 CAN AM OUTLANDER , powered by a 62 hp Rotax 650 or a 78 hp Rotax 850 engine with enough torque to tow up to 1,650 pounds. A rugged CVT provides shiftless, responsive gearing, while engine braking helps control downhill speeds. 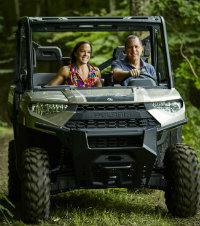 A selectable Visco-Lok, auto-locking front differential provides two- or four-wheel-drive traction. Performance is aided by the arched front A-arms, sway bar, and revised wheels that bring a wider stance and more confident handling. The independent rear suspension eliminates scrub and limits camber changes for laudable vertical wheel control. 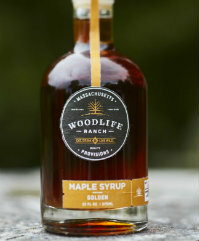 Behold the first batch of Golden Maple Syrup from WOODLIFE RANCH PROVISIONS. Produced on the ranch in the shadow of the tallest peak in the Bay State, this delectable elixir is available in Golden, Amber, and Dark. The ranch’s very own honey is equally delicious and is bottled raw, in an Applewood Smoked version, and Bourbon Barrel Aged. 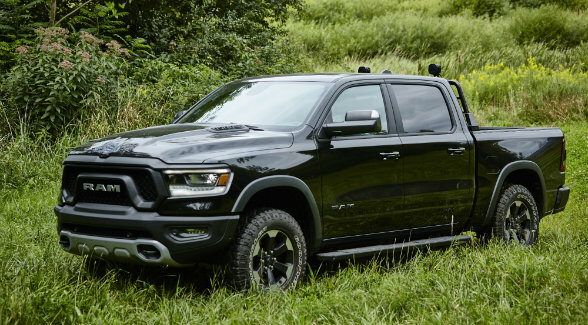 One of six models in Ram’s light-duty lineup with bespoke differentiation between trims, the 2019 RAM 1500 REBEL is more roomy, has a more comfortable on-road ride, and the chops for serious backcountry fun with hill descent control and underbody protection and skid plates. A HEMI engine with eight-speed automatic is available with new eTorque mild hybrid for better fuel economy and torque. 2019 brings new exterior and interior styling, class-exclusive air suspension for load leveling and entry/exit convenience, plus a truckload of other class-exclusive and segment-leading features and technologies. The maximum payload increases to 2,300 pounds and trailering to 12,750 pounds. Now available in Quad Cab, with new full LED adaptive front-lighting system, lockable bed storage, and Ram Box with 115-volt outlet. 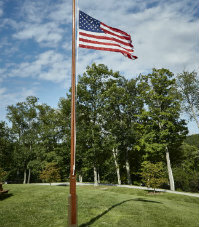 You can’t get more patriotic than an honest-to-goodness handcrafted flagpole. And safe. The flagpole at Woodlife Ranch can withstand winds of 115 mph. Danny Kaifetz and his team at Adirondack Flagpoles custom make each order on the shores of Lake Champlain in Keeseville, New York. A variety of designs and woods is available. Mario Gagliardi at Woodlife Ranch opted for this rich Northern Red Oak (left). “Red oak is a tree that grows nicely here in the Berkshires,” he says. A clear varnish was chosen. White is also available as is a small-scale wall mounted version and a double-masted whopper that can reach 56 feet. The three-passenger 2019 POLARIS RANGER CREWXP 1000 EPS gets motive force from a 1,000cc ProStar engine that makes 82 hp and 62 pound-feet of torque. And it tows 2,500 pounds with a 1,000-pound bed capacity, a 1,500-pound class-leading payload, and a 2-inch receiver hitch that makes light work of big jobs. Two-speed transmission paired with On-Demand AWD for all-weather, all-terrain traction; VersaTrac Turf Mode unlocks the rear differential for easier and tighter turns. Ride Command adds an off-road-smart 7-inch “glove-touchable” display. The long list of factory-installed accessories includes front and rear cameras, GPS, and in-dash speakers with USB and Bluetooth connectivity to stream music from your smart phone. A mobile app brings access to detailed trail maps and weather radar. SHELTERPOD ADVANCED SHELTER SYSTEMS has you covered with quick-to-deploy, easy-to-transport, wind-resistant havens for individuals and small groups. 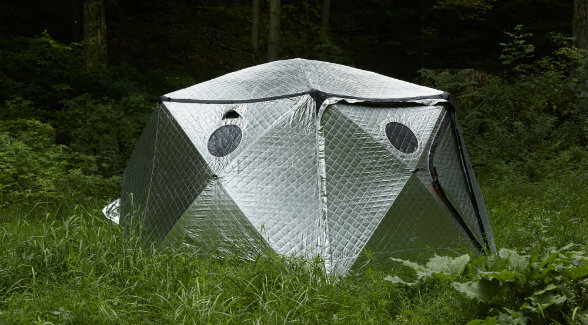 More than simply camp accommodations for outdoor recreation, these high-tech tents can be packed and delivered as complete kits that contain many of the tools and gear — sleeping bags, first-aid, water filters, and more — to survive in many emergency and disaster situations. A reflective exterior with synthetic down micro-fiber insulation, the composite super-fabric construction reflects and retains heat and dampens noise. It sets up in minutes with wind-resistance up to 100 mph. Of note: the company donates one unit for every 20 sold and gives a 10 percent discount to military, veterans, LEO, FIRE and EMS buyers. 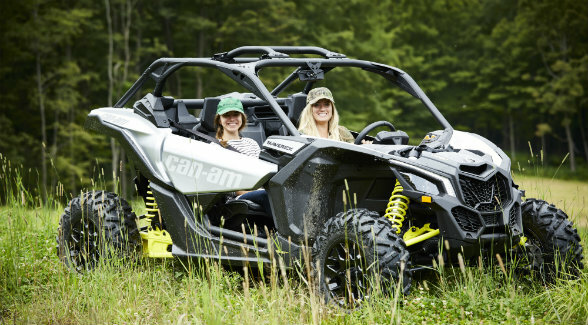 Can Am’s 2018 MAVERICK X3 side-by-side is no luxury off-road cruiser. It will make your eyeballs rattle! An aggressive ultralight, rigid chassis and an Ergo-Lok driver-centered cockpit are at the heart of this rig. 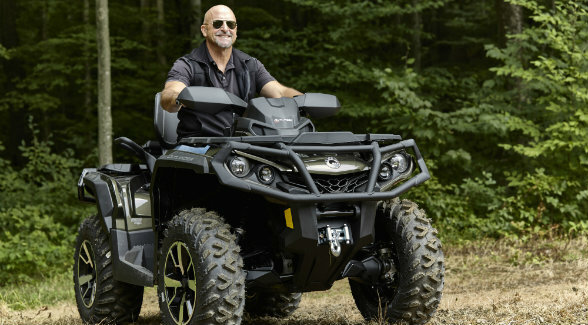 Available in two- or four-passenger versions, it’s powered by a 120 hp turbocharged Rotax ACE engine mated to a high-performance QRS-X CVT with 172 turbocharged hp. No wonder it motors from 0 to 60 in 4.4 seconds! Four corner FOX 2.5 Podium Piggyback shocks with front and rear QS3 compression adjustment and rear bottom-out control bring precise, tweakable performance to a wide variety of terrain. 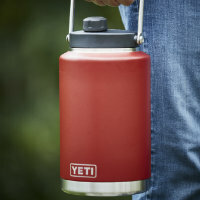 YETI’s high-quality products are built to survive hard-core outdoor adventures, Constructed of durable, 18/8 stainless steel with double-wall vacuum insulation and No Sweat Design, this sturdy half-gallon YETI RAMBLER JUG keeps cold drinks cold and hot drinks hot for a full day in the wild.